For the Spanish historic period, see Spain under the Restoration. 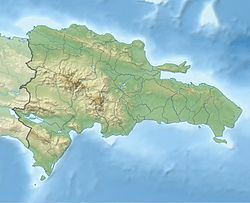 Restauración is the third largest city in the province of Dajabon, Dominican Republic. It is located in the northwest portion of the island, in the Cibao region. ^ "Restauracion Climate Normals 1961-1990". National Oceanic and Atmospheric Administration. Retrieved September 19, 2016. This page was last edited on 15 April 2018, at 14:37 (UTC).